Call this the age of the clueless politician. How else to explain the whiplash reversal of the Seattle City Council on the head tax last week? Or the state Legislature’s screeching retreat on a bill to exempt itself from the state Public Records Act in February? In both cases, elected officials had enacted measures that many of their constituents not only didn’t like but were angered by. Then they were surprised by daunting citizen backlash. The lesson is leaders need to bring their constituents along with them. 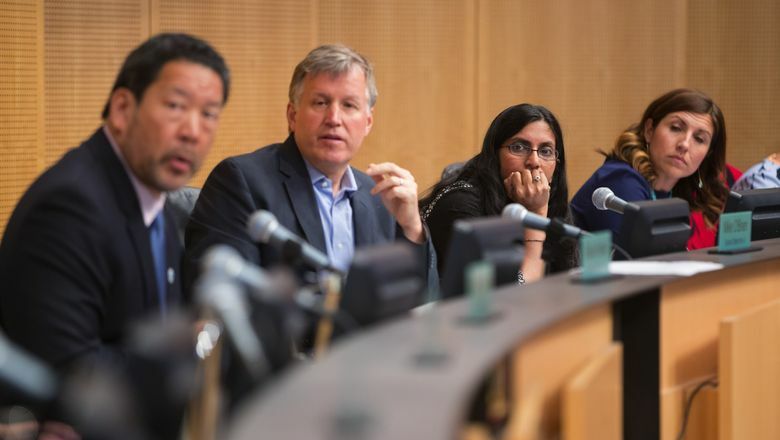 In May, the City Council voted unanimously to impose a tax of $275 per employee that would affect the city’s large employers, including The Seattle Times. Many businesses drew together and raised money for a campaign to repeal the head tax, but the disgruntlement reached far beyond businesses to construction labor to citizens not confident the city can deliver. In Olympia, the Legislature rushed to freeze the public out of consideration of a bill to exempt itself from the state’s main law on government transparency. No meaningful hearing or debate. Citizens were upset immediately. The offices of Gov. Jay Inslee and lawmakers were inundated after 13 newspapers, including The Times, ran front-page editorials asking voters to call the governor and ask him to veto the bill. They also urged citizens to call the offending lawmakers and urge them not to override the veto. After the governor’s office received more than 20,000 emails and calls, he vetoed the bill. A task force, yet to meet, is supposed to be established to address the concerns of lawmakers and the public over records disclosure. Many, not all, state lawmakers acknowledged to constituents they screwed up — and they say they want to avoid making that mistake again. In Seattle, not so much. When repealing the head tax with a 7-2 vote Tuesday, City Council members blamed everybody but themselves. It was the evil Amazon and heartless big business that spoiled their effort to raise money for affordable housing and homeless services. City Councilmember Lisa Herbold, who expressed deep disappointment at having to make a choice to repeal the head tax because the opposition was too powerful, was indignant. Though council members are blaming Amazon, other big business and apparently Trump and the Koch brothers, they might do better to look a little closer to home. Surely, they noticed the lines of people signing the referendum petitions outside businesses. The mayor’s office received more than 5,000 emails and phone calls, trending strongly against the head tax. Surely council members got some of those, too. Make no mistake. The region’s homelessness situation is an authentic crisis. But lost in the City Council members’ gnashing of teeth is some of the truth. They billed the head tax as a solution for homelessness that was recommended by a task force. Now, walk with me here because the nuance is important. The group was called the Progressive Revenue Task Force on Housing and Homelessness, and its goal was to find a tax on moneyed interests after a court sunk the council’s previous effort at an income tax. In fact, initially, there was no specific homeless-solutions plan to fund. There was only the tax — and the details would be filled in later. This, from a city that has been criticized for skimping on accountability measures. Does that sound like good idea? At least Mayor Jenny Durkan seems to have gotten the message. Now, that sounds like a good idea.